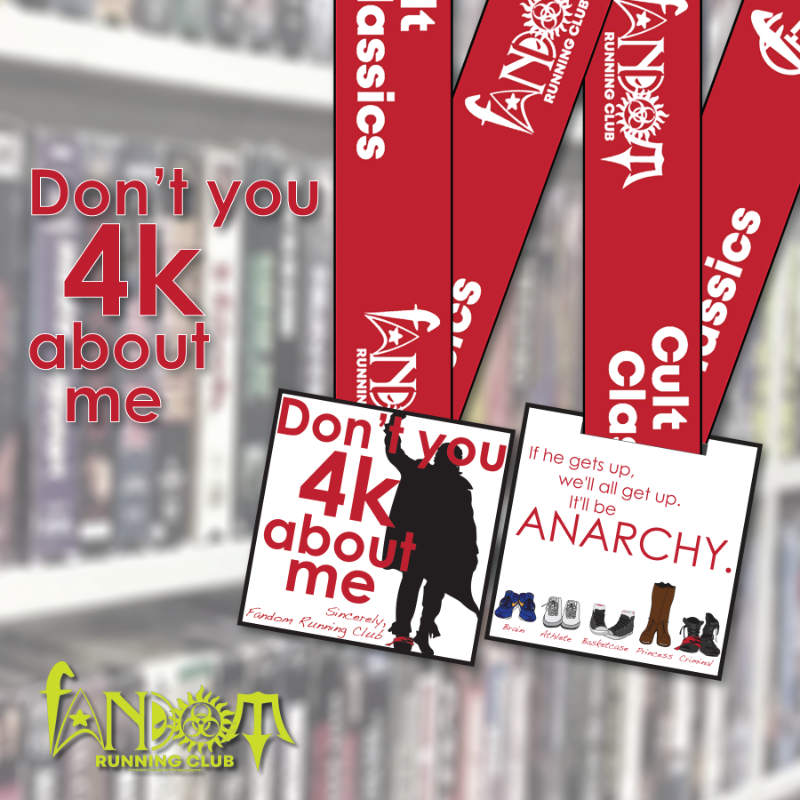 Fandom Running Club is pleased to announce the first event in the Cult Classics Series! Don't You 4k About Me! Our newest series is all about cult classics...movies that have a passionate fan base and are likely to stand the test of time. What better movie for the first event in this series than the universally accepted #1 high-school movie of all time: The Breakfast Club! Taking it's name from Simple Minds' undisputed masterpiece, this event is celebrating a horrible Saturday of detention where a brain, an athlete, a basket case, a princess and a criminal discovered that they were more than their stereotypes. Your registration for the Don't You 4k About Me event includes an awesome 3" medal (yes, the silhouette even has a small rhinestone earring!) , a satin dye-sublimated ribbon, and the ever-popular custom digital bib. The distance is a 4k and you can complete the distance anywhere and any way you want! You can do it in one go or you can break up the distance to make it more manageable. The first 500 medals have been ordered and will be shipped in mid-January. The proceeds from this event supports Random Tuesday's Charity Partners. 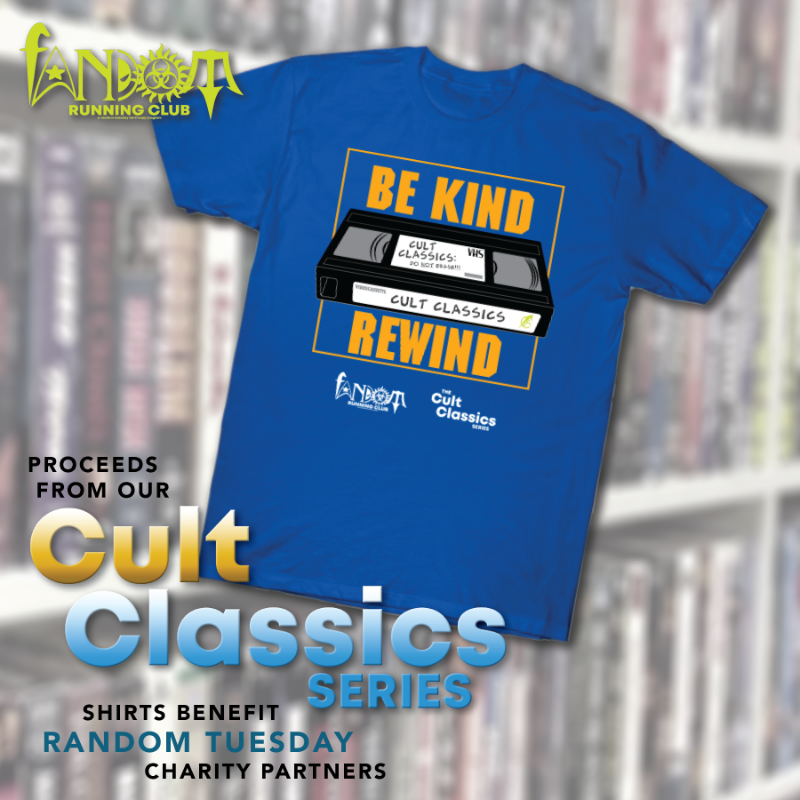 And, of course, there's a super awesome geeky shirt for the new Cult Classics series! Do you recall the joy (agony) of walking up and down the aisles at your local Blockbuster searching for the perfect movie for a Friday night? More importantly, did you have to pay the $1 charge for shamefully forgetting to rewind the tape??! Shirts will be available on TeePublic. Grab some popcorn and sign up for the Don't You 4k About Me today!